Want to book appointments, order prescriptions and see your medical summary online? Sign up today - get started here and register your details with the secure web portal - we'll link your information with your medical record and notify you when the account is fully live. If you have not yet signed up for the new online service, Register here. Bicester Health Centre is recruiting! The Health Centre has bike racks outside the main entrance. Park at Bicester Park and Ride car park, Kingsmere (free for up to 24 hours) and take the S5 bus to Piggy Lane Bicester. The surgery is a 2 minute walk from the bus stop. Parking at the Health Centre is very limited. Please consider using alternative parking in Bicester if you are more able, leaving the small number of parking spaces for less able or infirm patients. Please note that parking at the Health Centre is provided for persons whilst on the premises only. We ask that you move your vehicle after leaving the Health Centre. Parking controls are maintained by a contractor and penalty charges may be applied if vehicles are parked inappropriately. 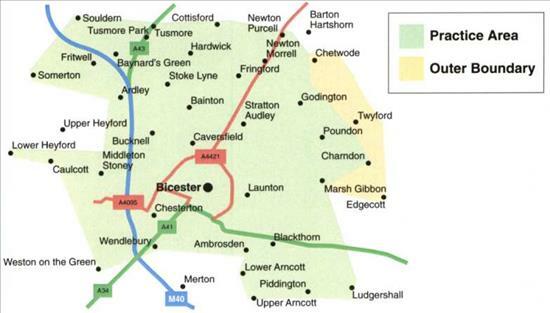 Do you live within the green area on this map? 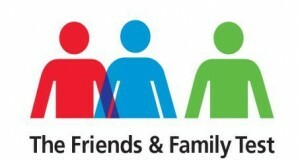 Take the Friends and Family Test. Tell us what you think about the care or treatment you have received from us. See what our patients have said about us. Starting 2019 with a resolution to do more physical activity? Download the "One Step at a Time" leaflet for details of individual and group activities available in Bicester and the surrounding area. 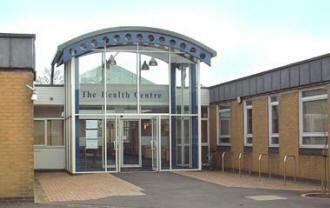 See how the Health Centre is working with other GP practices in North East Oxfordshire to improve access to healthcare.